Ice became essential to the improving lifestyle of Americans. The convenience and health benefits of ice are now a necessity. 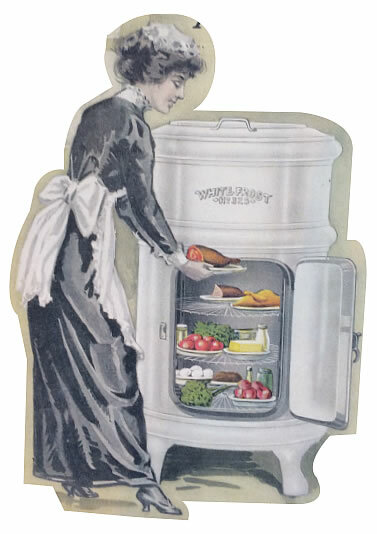 Home ice boxes allowed for storage of fresh meats and produce alleviating daily trips to the market. The ice industry enabled the consumption of a wide range of new products. The diet of the United States changed dramatically. Since 1748, it was known that it was possible to artificially chill water with mechanical equipment, much of the ice of sold in the 19th century was “natural” ice. In 1864 Frederick Tudor passed away a very rich man. In 1880, 2.5 million tons of ice sold in New York City.